BERLIN — Germany issued a travel alert for Turkey on Thursday, citing “heightened danger” after the arrest of a German human rights campaigner in Istanbul and marking the latest in a string of incidents that have pushed tensions between Berlin and Ankara close to breaking point. Foreign Minister Sigmar Gabriel voiced scathing criticism of Turkish President Recep Tayyip Erdoğan at a press conference, saying Ankara had “abandoned the ground of European values” by jailing “innocent visitors to their country on outrageous charges.” Gabriel added he believed that Turkey had also abandoned NATO’s common values. 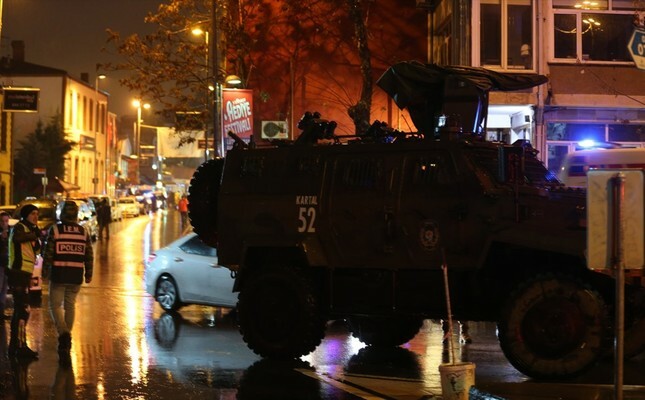 An assailant dressed in a Santa Claus costume opened fire at a nightclub in Istanbul during New Year’s celebrations, killing at least 35 people and wounding several others, Istanbul governor Vasip Şahin said early Sunday. A police officer was among the killed in the attack targeting the popular Reina nightclub in Istanbul’s Ortaköy district. 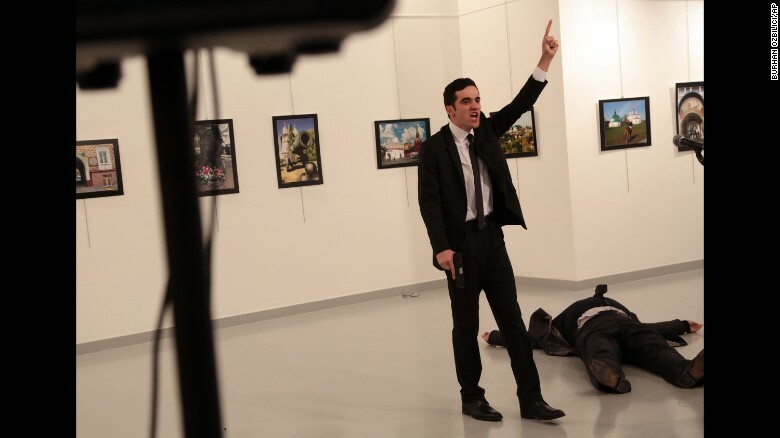 More than one assailant may have been involved in the attack, sources said. Over 500 people were inside the club at the time. ISTANBUL — As dozens of counterterrorism police officers circled his home, the co-leader of Turkey’s main Kurdish opposition party calmly sent a Twitter posting about his impending arrest. Pajama-clad neighbors came running in the middle of the night to stop it but they were too late. 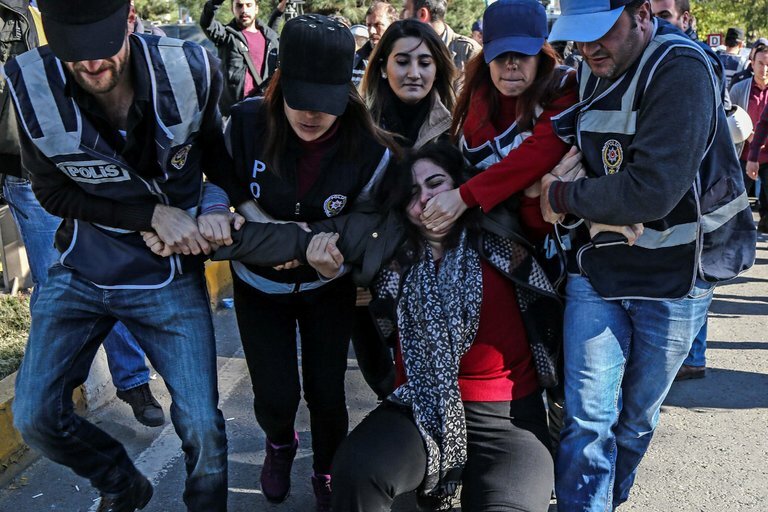 The opposition leader, Selhattin Demirtas, was one of 11 Kurdish members of Parliament seized early Friday by security forces in raids carried out in the southeast city of Diyarbakir, where he lives, and in the capital, Ankara. Turkish president Recep Tayip Ergodan is meeting with “his friend” Vladimir Putin in hopes of turning a fresh page in the two countries’ relations. It is their first meeting since Turkey downed a Russian bomber over Syria last November. “Your visit, which comes amid a very complicated situation in Turkey, indicates that all of us want to revive our dialogue and restore relations for the sake of the Turkish and Russian peoples,” President Putin said, greeting Erdogan in St. Petersburg. Fourteen Turkish navy ships remained at sea and unaccounted for last night amid concerns that their commanders may be coup conspirators seeking to defect. Admiral Veysel Kosele, the commander of the Turkish navy, has been out of contact since Friday night’s botched coup, a source confirmed. It is not known whether he was an instigator of the attempt to oust President Erdogan or is being held hostage by collaborators on the run. Last night the president said that he was almost assassinated when the resort in southwest Turkey where he was staying was stormed and two of his bodyguards killed.